Welcome to the new look Stephen King bookshop. 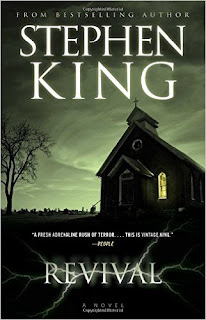 Here you will find all the latest Stephen King books and the latest Stephen King short story collections. The master storyteller keeps on producing his masterpieces, so keep an eye on the Stephen King store, and we’ll keep you up to date with all the new Stephen King releases, as and when they arrive. Have you missed any of the latest Stephen King Books? What would happen if all the women disappeared from the world? 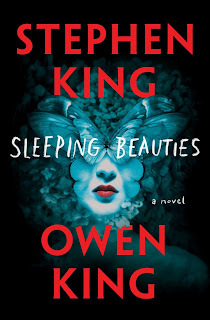 Well, that was the idea that inspired this wonderful father / son collaboration between Stephen King and Owen King. When all the women of the world go to sleep, they become cocooned in a gauze-like shroud. If they are woken from their sleep, they become violent, zombie-like creatures. Only one woman seems to be immune from the curse, but is Eve simply immune to the sleeping disease, or is she a demon? Take a trip back to Castle Rock with this wonderful novella that was co-written by Stephen King and Richard Chizmar. When a twelve year old girl takes a walk to the top of Castle View, she meets a stranger who gives her a mysterious box with buttons on and a lever that dispenses chocolates and silver dollars. The stranger tells Gwendy that the chocolates will help her lose weight and they do, but when she dares to press one of the buttons, horrendous things begin to happen. 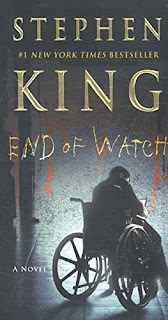 Read the whole Stephen King Bill Hodges saga from start to finish with this superbly packaged box set of hardcover editions of Mr. Mercedes, Finders Keepers, and End of Watch. It’s great way to own the award winning trilogy of Stephen King books about Bill Hodges, the retired detective, his friends, , Jerome Robinson and Holly Gibney, and the deranged Mercedes murderer, Brady Hartsfield. 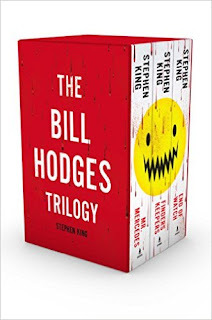 Add the Bill Hodges trilogy to your Stephen King Book collection today! 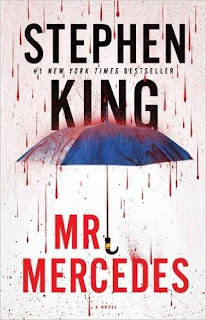 The very latest Stephen King book is the amazing finale to the Bill Hodges trilogy that began with Mr. Mercedes. The perpetrator of the Mercedes massacre, Brady Hartsfield, has spent five years in a traumatic brain injury clinic and any kind of recovery seems unlikely. Behind his blank stare, though, Hartsfield is wide awake and he has developed some very deadly powers that he can use without even leaving his bed. Bill Hodges and his partner Holly Gibney are drawn into the most dangerous case they have faced yet. Brady Hartsfield is back, and he plans to get his revenge on Bill Hodges, his friends and a whole city. 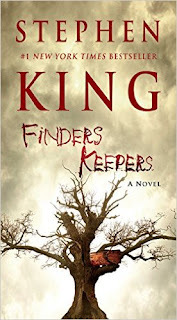 This recent Stephen King book is the second of the Bill Hodges trilogy. Morris Bellamy is furious when his favourite author John Rothstein stops writing books about the character Jimmy Gold, and he’s totally incensed that Gold sells out for a new career in advertising. So much so, that Bellamy murders Rothstein and takes cash from his safe and notebooks that could be the basis for a new Gold novel. Morris is in jail for another crime when Pete Saubers finds the notebooks and cash that Morris had hidden. Now, Bill Hodges and friends must save Pete and his family from Morris, who has been released from prison and is looking for revenge. 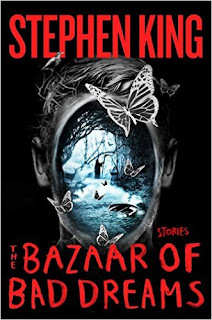 Stephen King’s latest collection of short stories will not disappoint the constant reader and this new collection includes insightful comments from the author about the writing of each tale. Evers since King published Nightshift, he has proven, time and time again, that he is a short fiction genius. In this collection, King has pulled together twenty tales. Some have never been seen in print before and some he has revised especially for this publication. All of them are magnificent Stephen King short stories! 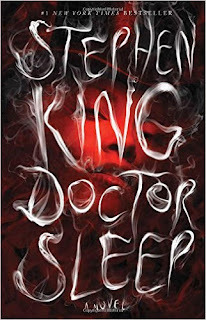 It's one of the best Stephen King books of recent years. This latest masterpiece from Stephen King is a very dark and disturbing novel that explores fanaticism, addiction, and what may lie in store for us on the other side. More than half a century ago, in a New England town, a boy named Jamie Morton and the Reverend Charles Jacobs share a strange bond and obsession. When disaster falls upon the Jacobs family, the preacher turns his back on God and is expelled from the town. Haunted by his demons, Jamie lives a nomadic life and, by his mid-30s, he is a desperate heroin addict when he meets Charles Jacobs once again. Their old bond is reignited and it becomes an evil pact with dire consequences. In this recent Stephen King book, the first in the Bill Hodges trilogy, a stolen Mercedes car ploughs into a crowd of unemployed queueing up for a job. The driver backs up and hits the crowd again, killing eight people and wounding fifteen. 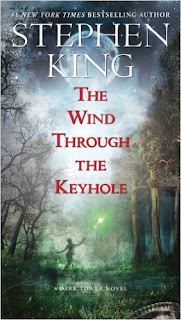 Just one more of the latest Stephen King novels that proves the author is still at the top of his game. In this Stephen King book, he returns to once more to the Overlook Hotel with the long awaited sequel to the Shining. A band of people called The True Knot, who look harmless enough, travel the highways, but they are the people who are quasi immortal and they thrive on the “steam” that is given off when children who have the shining are tortured to death. Dan is still haunted by the Overlook Hotel and the horrific year he spent there with his alcoholic father. Ever since then, he has been struggling to rid himself of the legacy his father left him and come to terms with the Shining. This is a sequel that will more than satisfy every devoted fan of Stephen Kings’ the Shining. Devin Jones, having realised that his romantic life is going nowhere, decides to accept a summer job at a local amusement park. While there, he befriends fellow summer season workers, Erin Cook and Tom Kennedy who, many years before, had been at the scene when a young woman named Linda Gray had been murdered and whose ghost is now said to haunt the horror house in the amusement park. The lives of Jones, his new friends, and Mike Ross, a young boy, along with his mother Annie, all become entangled when Devin takes the decision to look further into the unsolved mystery of the murder of Linda Gray. 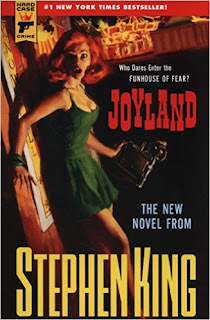 Another triumph of a Stephen King book! The path of the Beam is blocked as Roland and his ka-tet are stopped in their tracks by a huge storm. The wind that screams around them snaps at the trees as Roland tells two strange and haunting tales that shed some light on the gunslinger’s past. Following his mother’s death, and ridden by guilt, Roland’s father sends the young gunslinger to investigate a slaughter. He finds animal tracks, bloody footprints and proof that the shape-shifter ‘skin-man’ has been at work. Roland attempts to calm the single survivor of the carnage, a teenage boy called Bill Streeter, with a bedtime story that his own mother used to tell him, 'The Wind through the Keyhole. Jake Epping is an English teacher whose life is turned upside down when his friend Al, who runs the local diner, lets Jake in on the secret that the storeroom in the diner is a time portal. 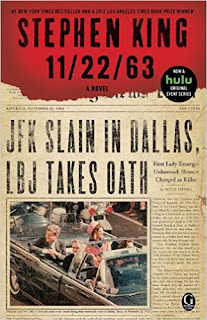 Al convinces Jake to accompany him on a journey back to 11/22/63 to stop the assassination of President John F. Kennedy. The normal rules of time are completely turned on their head as Jake finds himself in the world of the 1960s, where he meets a guy called Lee Harvey Oswald and falls in love with a librarian. So, what would you do if you could change the day that changed the world? Would you do it? This Stephen King book explores that very conundrum. Some of Stephen King’s finest tales have been told in short story form and Full Dark, No Stars follows in that tradition. Retribution is the central theme in four extremely tales that are some of Stephen King’s most frightening and graphic to date. 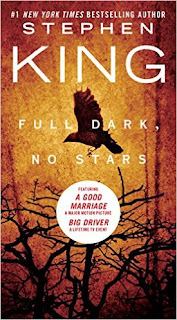 Full Dark, No Stars proves once again, as if proof were needed, that King is the undisputed master of the short story. 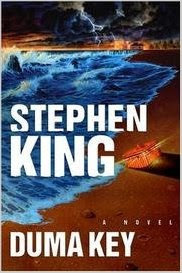 Another of the many Stephen King books that is impossible to put down! It seemed like any other day in Chester’s Mill, Maine, until that was, the town was mysteriously cut off from the outside world by a strange force field. Families are separated, planes crash, cars explode as they smash into the invisible wall. The real mystery is where did it come from, who put it here, and will it ever disappear again? 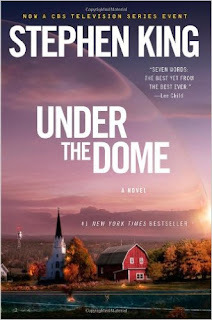 A few of the town’s citizens trapped under the dome team up and take on the ruthless politician who will do anything to hang on to power and his son who hides a dark secret. The true enemy, though, is the dome itself and time for the all is fast running out. Following a horrific construction accident that cost him his arm and, eventually, his marriage, Edgar Freemantle packs up and moves to Duma Key on a remote part of the Florida Coastline to try to recover his life. While there, he rediscovers his passion for painting and he also soon finds out that there is more power in his art than there should be. He makes a new friend in Wireman, a man who is also looking for refuge on Duma, the caretaker for the elderly Elizabeth Eastlake. Elizabeth Eastlake has a past too, and soon, her memories awaken an evil that they must all face together on Duma Key. One of those Stephen king books that your have to read!